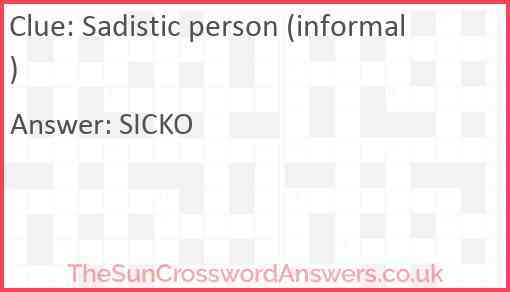 Sadistic person (informal) is a crossword clue for which we have 1 possible answer and we have spotted 1 times in our database. This crossword clue was last seen on 14 February 2019 in The Sun Coffee Time Crossword puzzle! Traveller round sun bed with me in it?